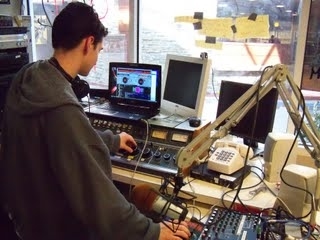 We are looking forward to our second year of radio shows! New and exciting guests, favorite guests from previous episodes will return for a command performance and we are making new explorations into ESP and the Paranormal. You may download episodes below in .mp3 format, but join us Friday nights for a LIVE on air discussion! Topics Discussed: REALTV from the UK seeks out Omaha UFO Study Group for television program documenting real UFO investigations. Dave is now on the MUFON Star Team. Dave previously fleeced by National Georgraphic channel producers. Discovery channel ok. Arcturians' channel message on this, 11-11-11. Paredolia and apophenia, Hegelian dialectic, chemtrails: UFOs, government conspiracy or humidity and atmospheric pressure. 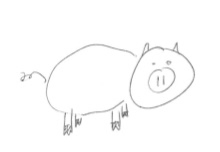 Draw a pig personality test; Matt and John draw a pig and Steve suggests psychological interpretation. Cave art, art history, emergence. Arcturians' channeled message, sanity of authorship considered in current context of psychosis. Exploring the ridicule factor in UFOlogy. What's good for the goose, etc.. Obama White House has no evidence of UFOs, plausible deniability. Why is there less ridicule of the paranormal compared to UFOlogy? Fermi paradox explored from both sides - actually proves greater likelihood of existence and visitation of ET. Entangled particles, binary communication. Life on Pluto and ensuing argument over its planethood. Then a return to discussion of the content of channeled information, its value and relevant meaning vs accepted definition of psychosis. Sheldon Nidle and the Galactic Federation, member planet systems. Fomalhoultans problem - it is still in an ecretion debris disc with no planets. Questions Answered: The Arcturian membership in the Galactic Federation: who are they and what do they want? Topics Discussed: Faster than light electron neutrinos (60ns); is time travel now possible? Social Science Research Network posting of results from study group's ESP experiment of precognition based on Cornell's Daryl Bem study Feeling the Future. Our group's findings are posted here under the title Examining Retroactive Facilitation of Recall. Implications from our findings. Recap of other group projects including: Out of Body Experience verification, Fred Zewe's psychometry of Dave's calculator and a blank CD, Dave's elevator precognition case study. Squelching mental noise and altered states of consciousness as the mechanism. Parapsychology research methodology and Charles Tart's use of behavioral science to reinforce telepathy. The Amazing Randi debunking. Martin Caidin's demonstration of telekinetic powers supported by Professor Pares, yet unfounded according to Randi. Pseudoskepticism. 42nd Annual MUFON conference, presentation by Richard Dolan on airbrushing of moon photos and "secret space programs." Shuttle mission's STS114 and STS48 observation of objects apparently under intelligent control vs spy satellite maneuvering capabilities. David Wilcock's Source Field Investigations based on Luc Montagnier (ghost DNA teleportation), Ignatio Pacheco (micro-organisms from heated and sterilized beach sand) and Peter Garayev's study (green laser changes frog eggs into salamander eggs) discussed as arguments to support that DNA and life is written into matter itself, providing explanation for observance of 58 extraterrestrial races, all bipedal. Questions Answered: Faster than light and time travel...possible or not? Topics Discussed: Get ready for a guided tour of UFOlogy with this sure-to-be "best of spooky action" episode. John Buder, a decades-long researcher answers questions on a whirlwind tour of UFOlogy addressing these topics: independence day UFO flaps, 2006 flap, changing of ET crews, cycling of UFO flaps, Delta alien race, Long Island, NY reporting. US Military and Nazi UFO research, Nazi "bell". The three crashes at Roswell; Kecksberg, Nebraska Roswell in the late 1800s near Max, Nebraska. Disclosure realization. Lt Col Corso's "Leap of Faith"; dehydrated meat, Gordon Cooper and other astronauts' account of visitation. Missile silo stories; the intent of ET. Hybridization, Unidentified Submersible Objects (USOs); Chinese UFO investigation. Military phone book says to call Peter Davenport at the UFORC. NASA's involvement. Questions Answered: ET. Who are they? Who is in charge of UFOs in the United States Government? Topics Discussed: Preview of UNO Paranormal Society summit. Brain reading devices using fMRI; neurofeedback devices. Lying; Judge Judy; polygraphs; mechanisms of lying behavior. Starcraft Zerg...are they possible? Saul Kripke and modal logic would say yes. Interpreting lack of ET communication as hostile. Philosophical zombies....are they possible? The "hard problem" in philosophy - how do you get subjective consciousness from objective matter? Physicalism, materialism and R.E.A.S.O.N. Omaha; lazy empiricists, Clay Farris Naff. UFOlogy as a forensic science; epidemiology. Replication of Bem's precognition studies will be attempted at UFO Study Group meeting tomorrow. File drawer problem in psi research; psi-missing, the placebo effect, and the sheep/goal effect. Psychic healing added to the big 4 (clairvoyance, telepathy, precognition and telekinesis.) Steve's grand unified theory of all things paranormal; panpsychism of some kind in an order of increasing complexity. Mind is not epiphenomenon. Transmigration of the soul and possible quantum entanglement, but not promissory materialism (someday everything will be explained by physical laws is unfalsifiable.) The good and bad of science when it comes to the paranormal. Plato's Meno dialogue and pre-existence of knowledge and virtue. Questions Answered: What is Steve's grand unified theory of the paranormal? Topics Discussed: Ancient Alien Extravaganza! Shopping at Menard's, the movie Shawshank Redemption, Carrie's installation of a tile backsplash, and European peppered moths begin a whirlwind discussion of Ancient Alien theory. Biodegradable bags of Sun Chips, Ptolemy's epicycles, a graph of scientific advances during the Christian age all weave into the development of 7 potential theories to explain advanced megalithic structures: clever humans, ancient aliens, advanced civilizations such as Atlantis, nature mysticism, peak experiences or the "Dr. House" theory, natural formation or the "Mt. Rushmore" theory, and Divine intercession imparted or influenced. Giorgio Tsoukalos, AA theory vs the series and the star child skull. Preview of Oct 28 UNO Paranormal Society ghost hunting expo with PRISM, MAPS, and Hartland Paranormal. Parts 5 and 6 contain the first ever LIVE in-studio attempt to (very roughly) replicate Daryl Bem's precognition experiment #8 in his study, "Feeling the Future". Questions Answered: Did knowledge to construct ancient megalithic structures require a rational worldview of the type evident in the last 500 years? Questions Answered: Is Hollywood wrong? Will it be unlikely ET is coming to enslave and ravage us?